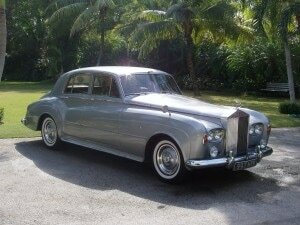 ​Boca Raton, FL – January 28, 2008 – The Unicorn Children's Foundation (UCF) has received an anonymous donation of a 1963 Silver Cloud III Rolls Royce that was formerly owned by screen and Broadway legend Rex Harrison of “My Fair Lady” fame. This classic vehicle will be auctioned off during the foundation’s 10th Anniversary Gala, Key to the Golden Palace, held on Friday, March 7th at Palm Beach’s most legendary private club. UCF’s co-president Juliette Ezagui said “We are so grateful for this generous donation. It is a great opportunity for car enthusiasts to acquire a classic vehicle while helping the children.” The Rolls is right-sided steering with low mileage and a conversion engine. The proceeds from the auction will benefit UCF’s education, awareness, and research programs that focus on learning and communication challenges that affect children, such as autism, ADHD, Aspergers, dyslexia, etc..
Mr. Donald J. Trump will be the Grand Honorary Host of the evening which will entice the senses of guests with dinner, dancing, live and silent auction, raffle, and special entertainment. More information is available at www.unicornchildrensfoundation.org.